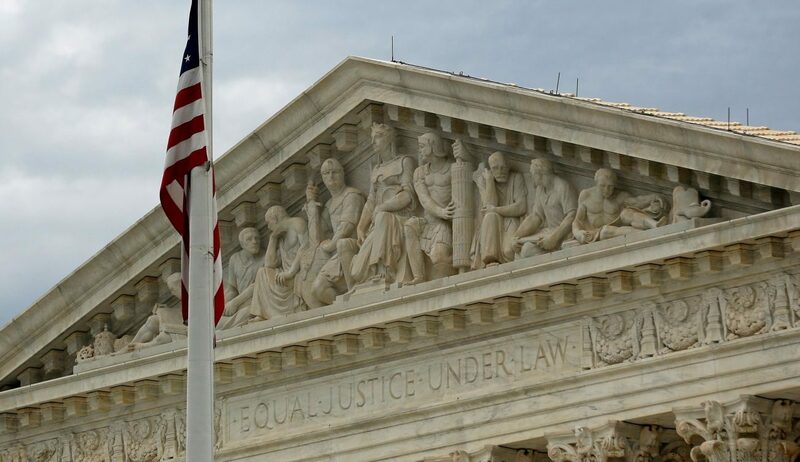 WASHINGTON (CNS) — The Supreme Court heard a case Feb. 26 that could erode the rights of labor unions at government workplaces. The U.S. Conference of Catholic Bishops had filed a brief in the case, Janus v. AFSCME, supporting the union. The high court had heard a similar case two years ago, but the death of Justice Antonin Scalia after the arguments were heard left the case at a 4-4 deadlock. Last year, Justice Neil Gorsuch was appointed to succeed Scalia. Gorsuch did not speak during oral arguments in this case. At issue is whether unions can compel workers who are not union members to pay “fair share” membership fees when those employees work for the government. In some instances, unions are required to deduct the percentage of dues used for political purposes. Mark Janus, who works for the state of Illinois, contends that all union activity, including contract bargaining, is inherently political. Janus lost the last round of appeals, bringing the case to the Supreme Court. In 1977, the justices unanimously ruled that public-employee unions were entitled to collect fair share fees from nonunion workers, who, like union members, benefit from union bargaining. Justice Ruth Bader Ginsburg asked one attorney on Janus’ side, William Messenger, what made union dues for government employees different from college student activity fees, bar association dues or even private-sector union dues. Messenger, an attorney with the National Right to Work Legal Defense Foundation, which represents Janus, likened the situation to Hatch Act rules against government employees issuing political speech. The rules prevent government employees “from being organized into a political machine,” he said. “Of course,” he added, “those same interests don’t justify forcing individuals to support the speech of an advocacy group,” which is what he considered unions to be. He was referring to the case of St. Thomas More, the English Catholic martyr who resisted signing an oath repudiating papal authority and acknowledging the right of King Henry VIII to run the church in England. He was charged with treason and beheaded. Without union security clauses, which would be made illegal in the Janus case, “unions face a ‘free rider’ problem that dramatically weakens them and, in turn, their bargaining power on behalf of workers, as experience in ‘right-to-work’ states to date has borne out,” the brief added.